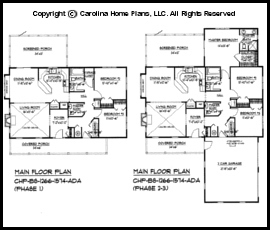 For small budget homeowners-to-be who can only afford to build a modest small house but plan to add on later, this small expandable house plan is designed to be adaptable as your family grows. Phase one provides 2 bedrooms, 1½ baths and a vaulted ceiling living room open to a large dining room and kitchen lunch counter bar. The ceiling height is 9' throughout and the attractive bump-out dining room window seat also features cabinet storage. 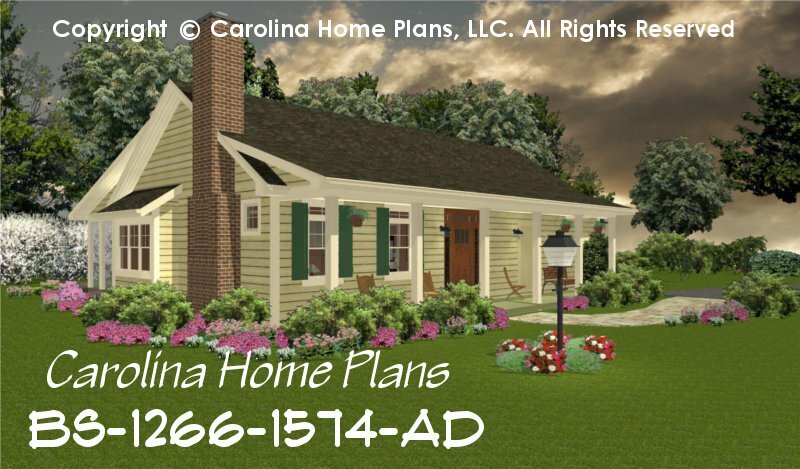 This cute, small budget country cottage house plan boasts an attractive front porch, a large screened back porch and the convenience of a laundry. 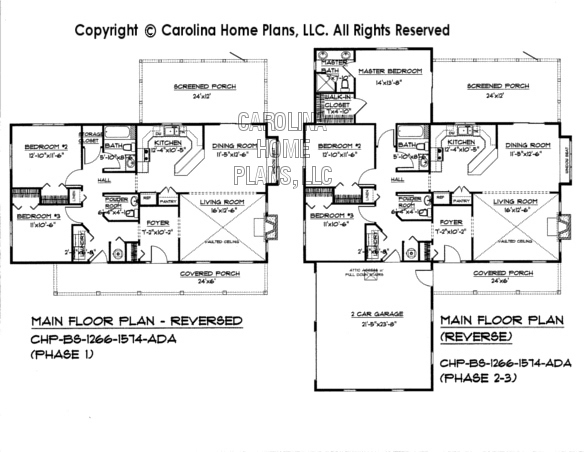 This flexible plan features an addition for a master bedroom and bath suite, as well as a 2 car garage with attic storage. This expandable small house plans is ideal for small budget homeowners willing to build-in-stages. Please note: These plans are specifically geared toward building in stages and contain extra construction sheets. Available options and pricing: See below. 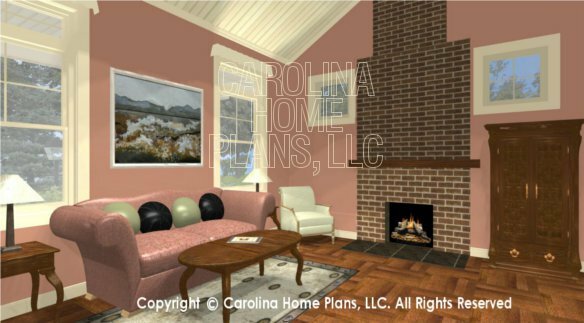 "A PLACE FOR OUR GRANDCHILD"
Several years ago we originally designed this home for an older retiring couple who were downsizing and didn't want to be burdened with too much house. However, since they were planning for their granddaughter to someday inherit the small home, they needed the flexibility for her to be able to add-on in the future. 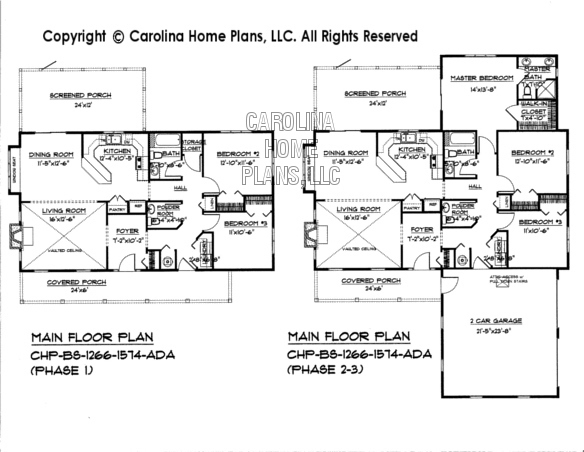 During this difficult economic period with so many struggling families we felt it was important to provide this ideal small expandable home plan for small budgets at this time. Ceiling Height 9' & 12'-9"-Vaulted Liv. Rm. Purchase PDF File NOTE: Due to the large number of sheets for Build-in-Stages Repro Plan Sets, it is cheaper to purchase the PDF File and print only those sheets as needed during each construction phase.